Cost: Adults $19, Youth (7-17) $10, Family $48, Children 6 and under are free. 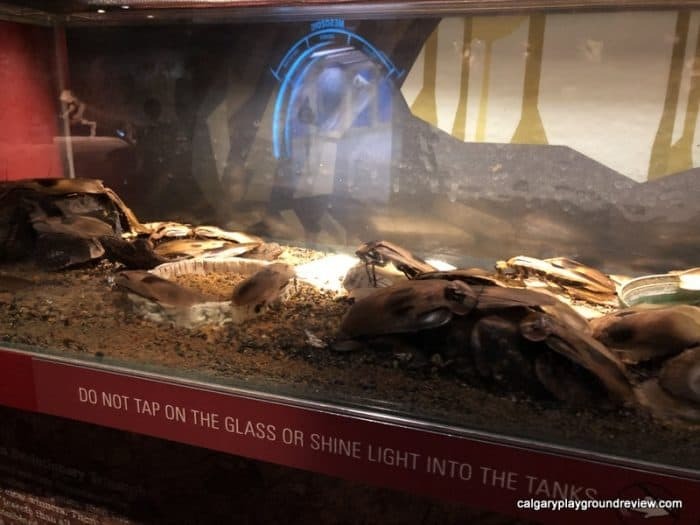 Included with Experience Alberta’s History Pass. Age Range: All ages. 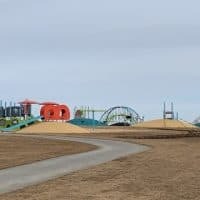 Really young kids may find some sections a bit dry but this should be improved with the addition of the upcoming Learning Lounge. 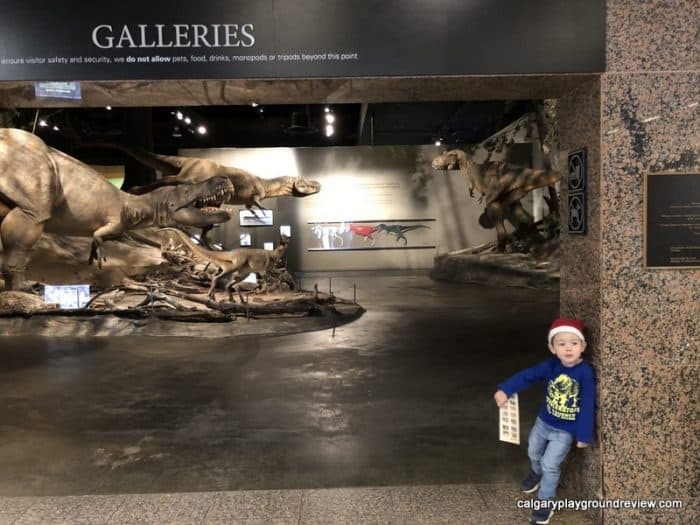 Dinosaur fans may be disappointed to find that the entire museum is not devoted just to dinosaurs. Stay Length: expect to stay at least 2.5 hours. 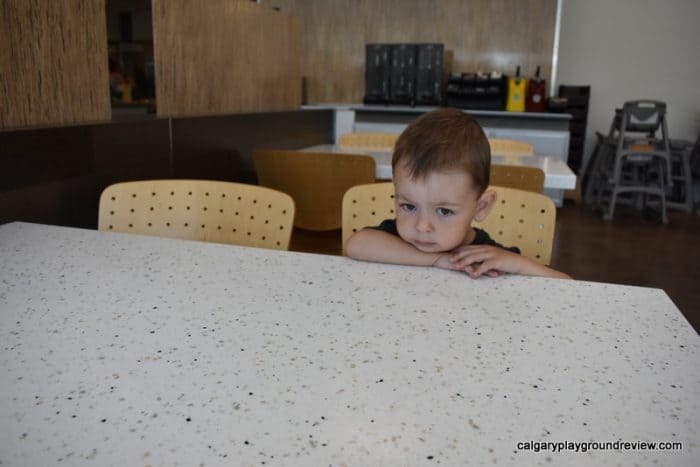 If you were pushed for time or had young kids, you could probably get through in 2 hours. 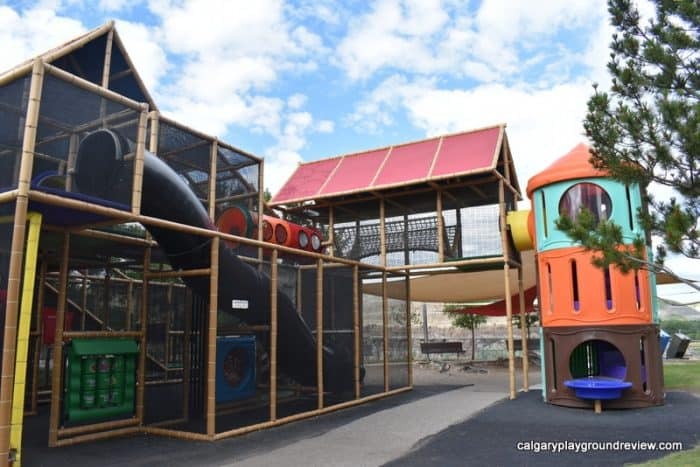 Outside the museum, you can find a free dinosaur themed playground. There is even a dino dig at the back! This is open to everyone, you do not have to go to the museum. Closer to the museum entrance, there are some neat dinosaur statues that make great photo ops. 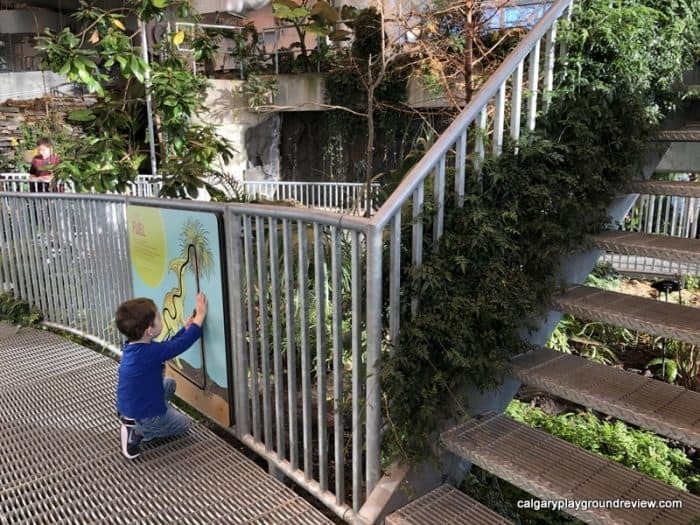 Don’t forget to look for the baby dinos! The lobby connects you to the gift shop, cafeteria and museum exhibits. 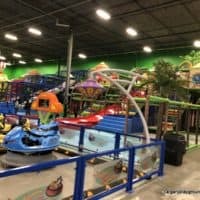 When you buy your admission you can also buy Fun Books for kids age 5-9 years old. 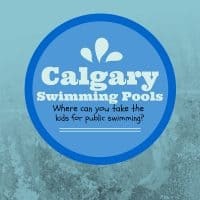 If you plan ahead you can also download worksheets for grade 4-8 and 9-12. The museum used to have an audio-tour that you could purchase. Now it’s free! 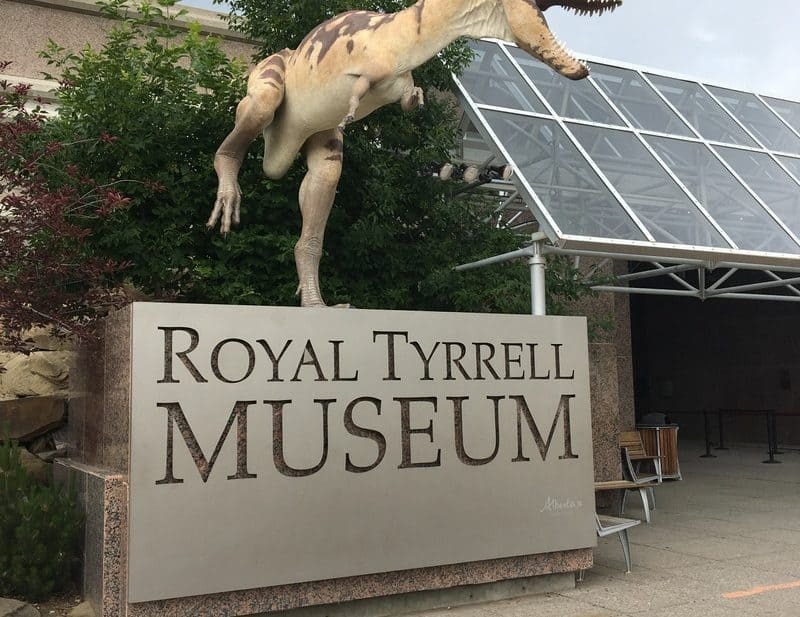 All you need to do is download the Royal Tyrrell Museum App. If you forget headphones, you can also purchase these at the guest services counter. 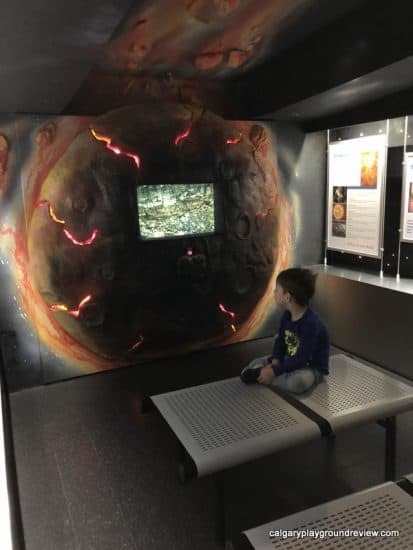 My kids (age 6 and 9) both really loved being able to follow along with the audio tour while we went through the museum. I listened to the audio-tour on our last visit and really recommend it. 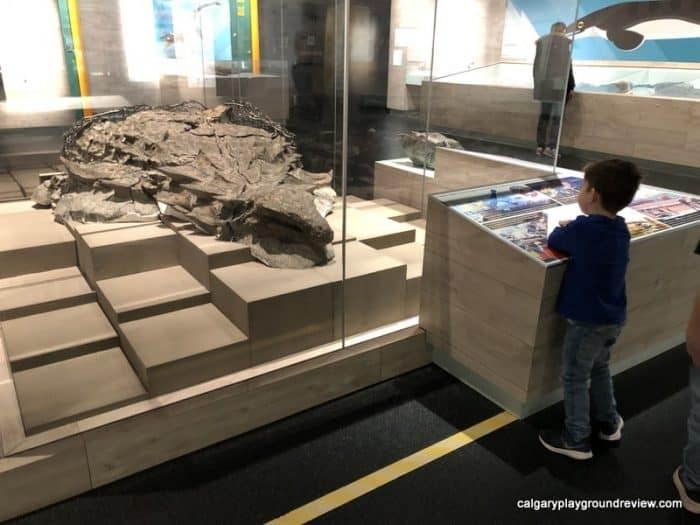 The first exhibit in Cretaceous Alberta. 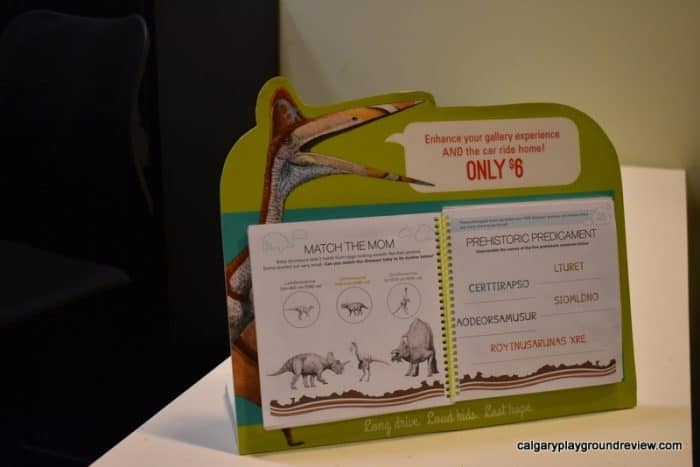 This area has the best dinosaur models so don’t rush through it, particularly if you have a young dinosaur fan. 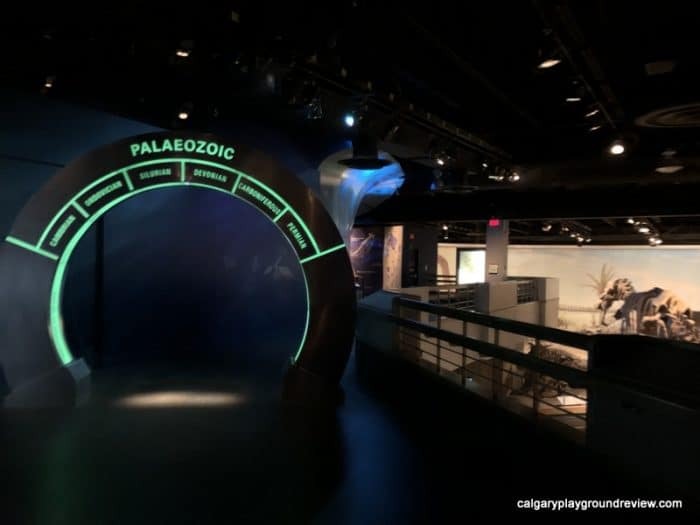 The next exhibits are focused on paleontology. 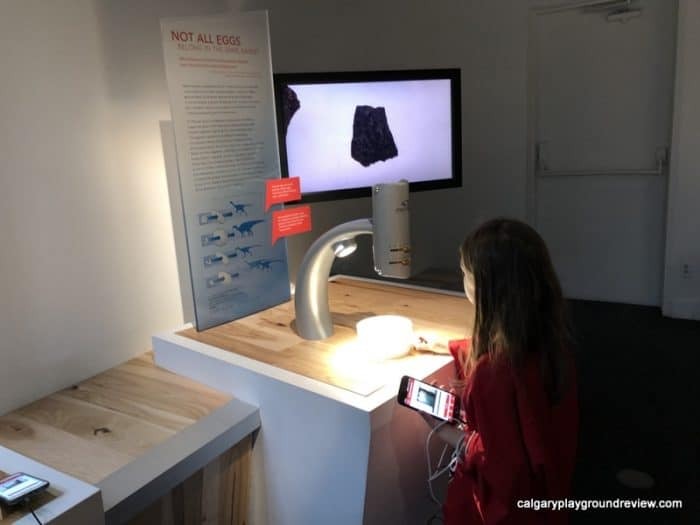 There are some interactive features here for kids. I love how some of them are set really low to the ground. 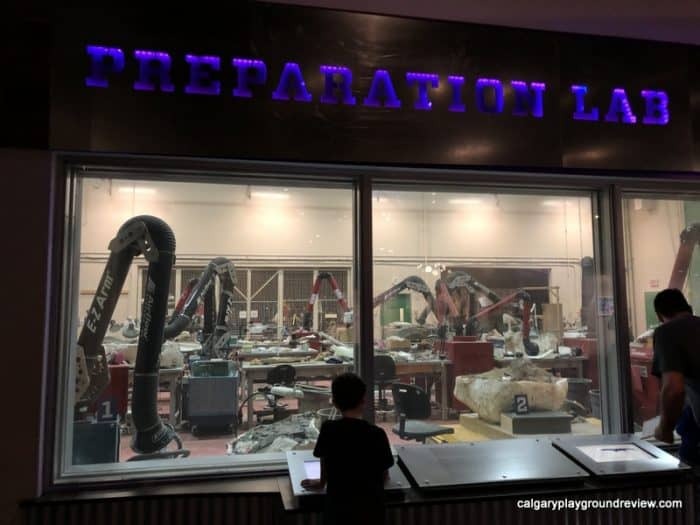 If you are lucky, you can see paleontologists at work in the Preparation Lab or ask questions at the desk nearby. 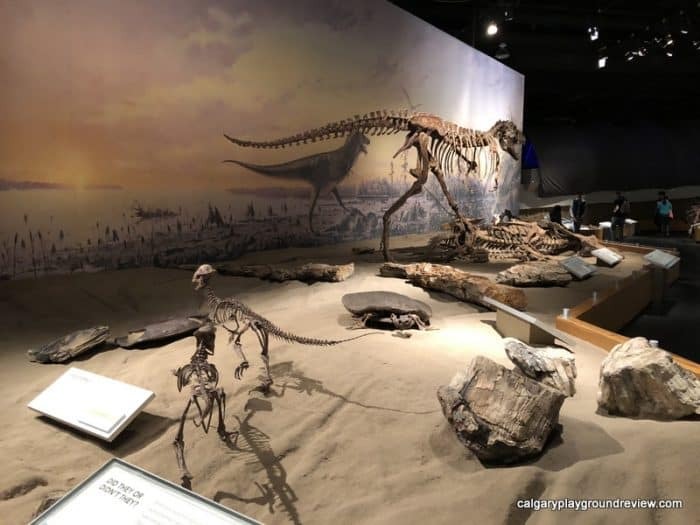 Some kids may find the first few sections a little tedious as the creatures look nothing like dinosaurs and it can be a little hard to imagine what the world would have looked like in the earliest time periods. 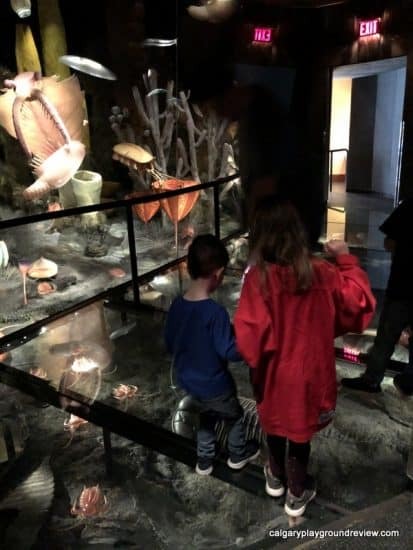 The kids will probably enjoy walking over the glass floor in the Devonian Reef. 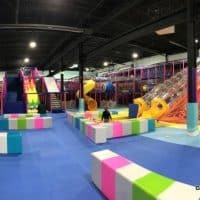 A Learning Lounge is coming in 2019 and should provide some great hands on activities for kids. The Permian area has some exhibits with live creatures like these giant cockroaches. Off to the side you can find the door to the Cretaceous Garden. 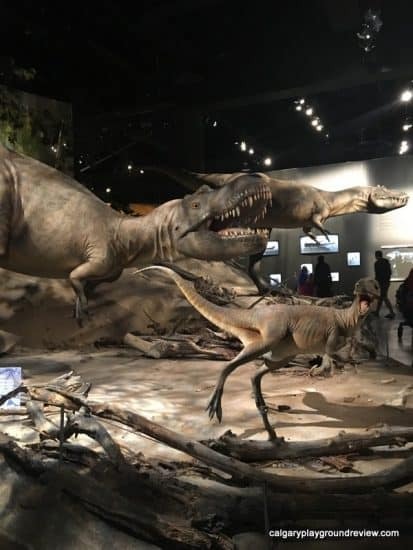 If you are in a big rush to get to Dinosaur Hall, you can pass this by, but if you have the time I highly recommend stopping by to see this prehistoric plant relative collection. It really gives you a feel for what the landscape of Alberta would have been when the dinosaurs were alive. 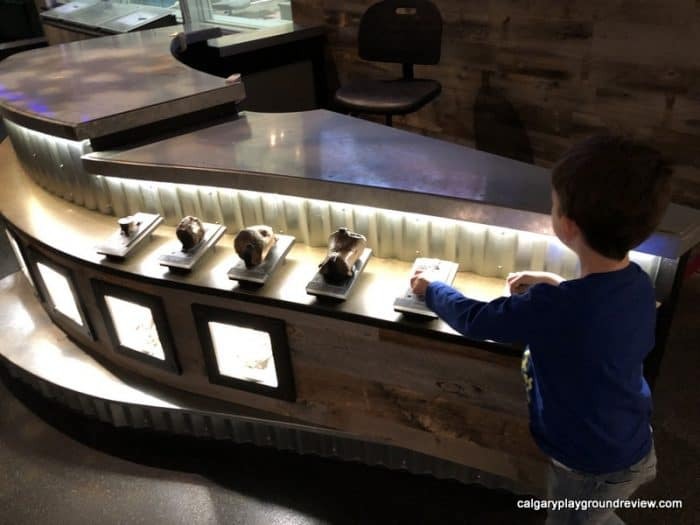 Dinosaur Hall is probably the exhibit that most kids are looking forward to seeing. 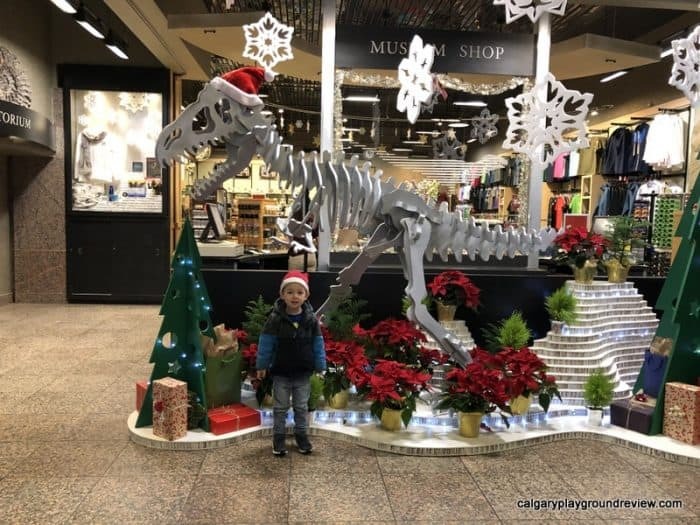 There are tons of full-size dinosaur skeletons to look at. 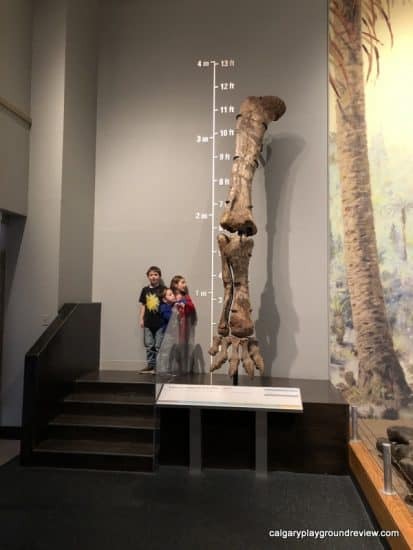 Don’t miss seeing how tall you are compared to this dinosaur leg! The dinosaurs are nicely displayed with some artwork behind them to help you imagine what they may have looked like. 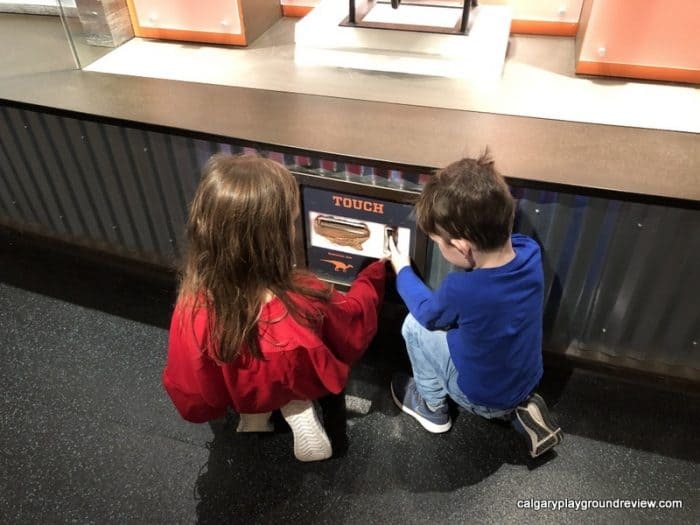 After Dinosaur Hall there is a video that discusses why scientists think dinosaurs went extinct. My youngest really enjoyed watching it. 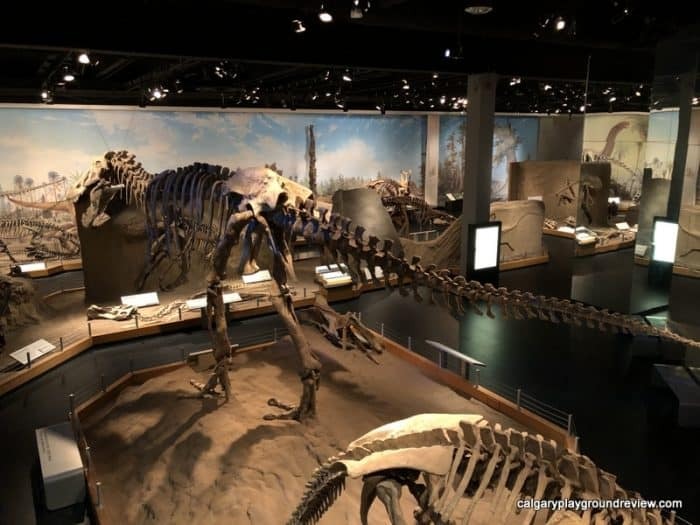 The last two exhibits cover the time after the dinosaurs. 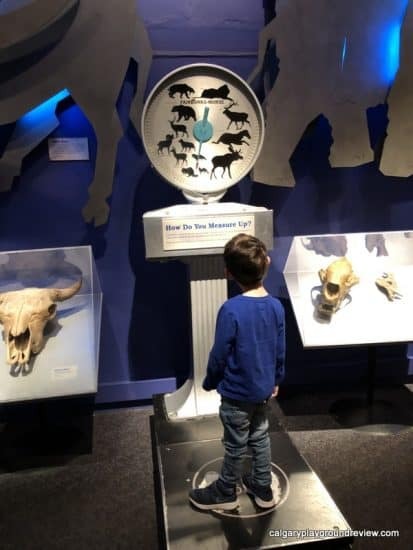 There are some cool skeletons here too but my kids favourite things was seeing the soft shelled turtle and going on the scale to see what mammal they weighed the same as. 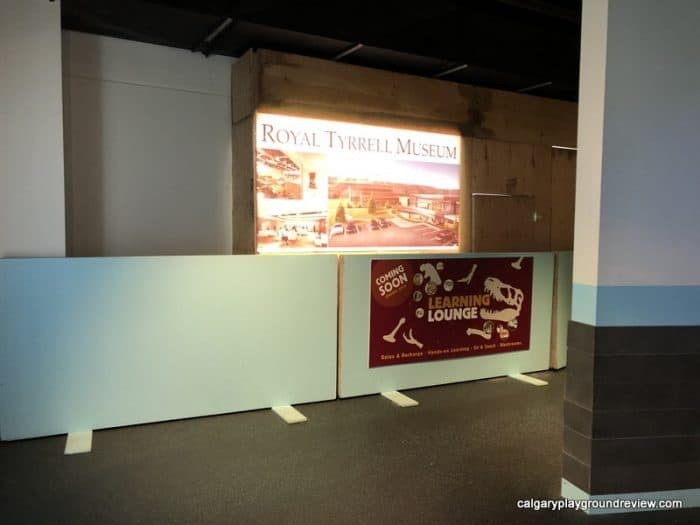 The cafeteria at the Royal Tyrrell is nothing special (although the fries are pretty good). It is typical cafeteria food with hot, cold and grab and go items. There is no where else to eat close by however so plan to pack food if you don’t intend to eat here. 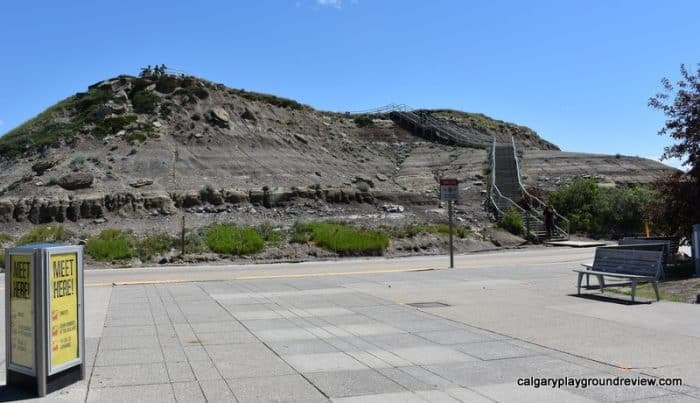 Outside of the museum, you can walk up to the lookout point (closed during the winter) or walk the Badlands Interpretive Trail. 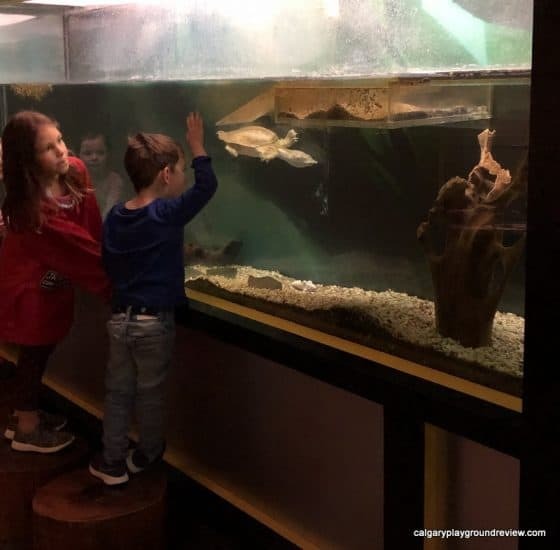 The museum also offers programs for families like fossil casting and on the weekends show a couple of different complementary videos in the auditorium. 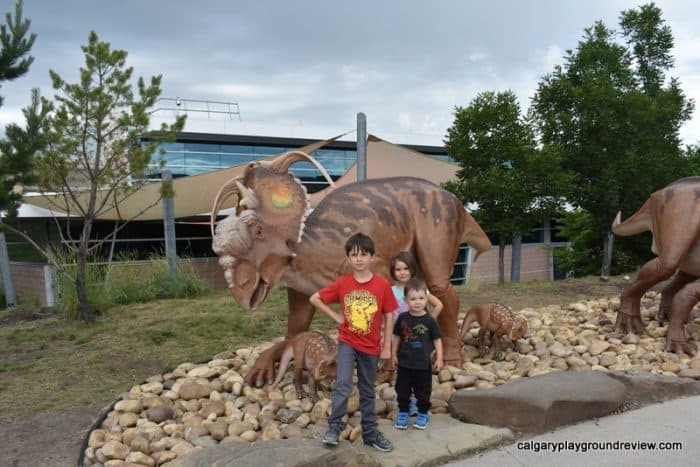 Our family had a great time at the Royal Tyrrell Museum and we will definitely be back again.